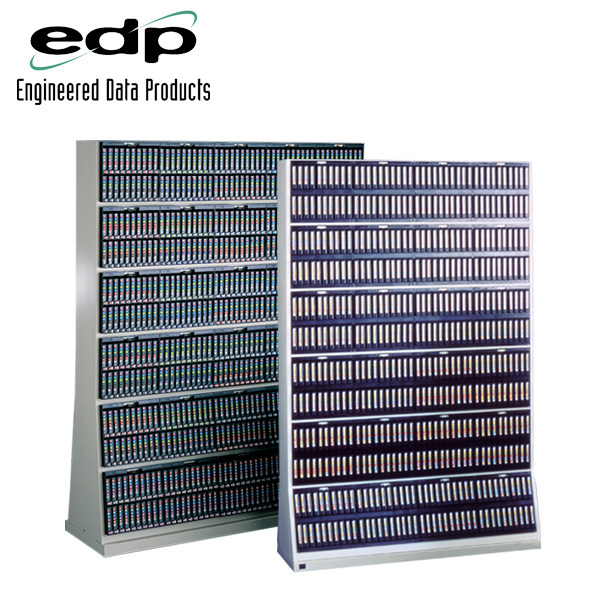 EDP’s original media tape storage rack – the Maximiser, allows easy storage of media tapes in a small footprint. Originally designed for storing 3480 tapes in the 3480/90 Auto-Pac, this media tape rack is compatible with the new Auto-Pac for DLT/LTO storage. This makes it ideal for data centres considering changing from 3490 format to other media tapes. Instead of changing the racks you simply change the packs. 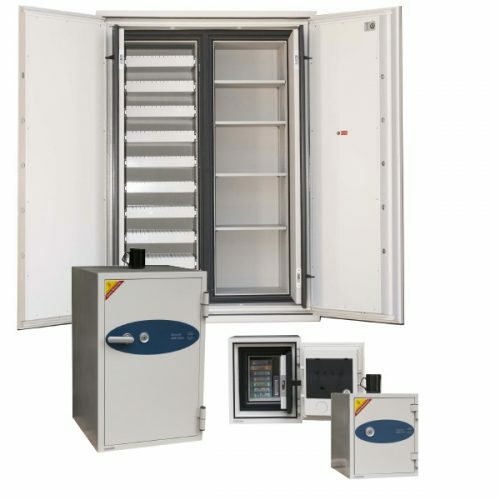 The Maximiser allows easy storage of media tapes in a small footprint. Originally designed for storing 3480 tapes in the 3480/90 Auto-Pac, this media tape rack is compatible with the new Auto-Pac for DLT/LTO storage. This makes it ideal for data centres considering changing from 3490 format to other media tapes. Instead of changing the racks you simply change the packs. 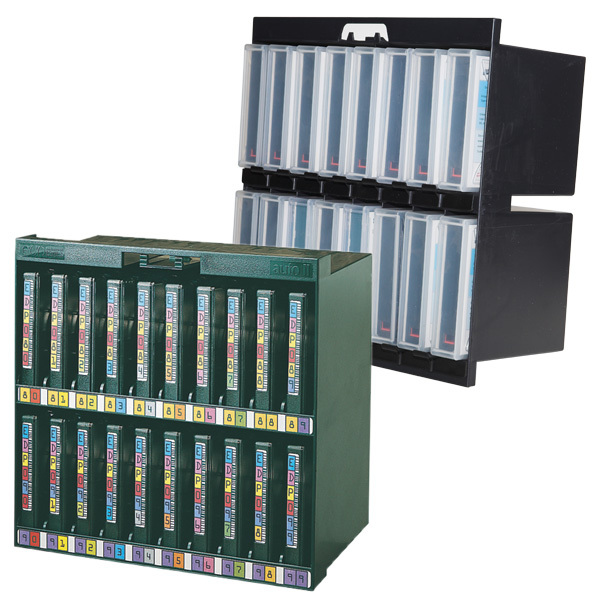 EDP’s Maximiser 3480 Media Storage System stores between 240 and 1400 3480/90 tape cartridges and has been designed to provide the greatest strength in the industry whilst requiring the minimum amount of floor space. Maximiser Media Tape Storage Racks are available in single sided racks for use against walls or double sided to create aisles. Constructed of wire-welded, furniture grade steel and shipped ready to use. Bottom two rows of the rack are angled for easy tape label viewing. Auto-Pacs allow easy tape cartridge removal, whilst the packs can be easily removed for relocation. Newer style Auto-Pacs allow a mixture of different media types to be stored in the same rack. 6 Auto-Pac high tape racks are available in widths of 2, 3, 4 or 5 packs wide. 7 Auto-Pac high tape racks are 5 packs wide. Also compatible with the DLT-Auto 16 pac.